It has been almost a year since we heard any Major News regarding the Legendary Pictures Godzilla Film. Well recently there has been a lot major News and I have finally got round to writing it up. Firstly at this past years San Diego Comic-Con International during a session by Legendary Pictures a trailer for the film was unveiled. The trailer (which once again is not available on YouTube) apparently depicts Godzilla as the original TOHO Monster and in no way as the 1998 Zilla. “A city decimated. Completely destroyed. The camera pans by the wreckage of a train, A distant voice is heard reading from the Book of Revelations. The voice sounds very familiar. Dust everywhere. Cars crushed. Holes in skyscrapers. It becomes obvious that the voice belongs to Raymond Burr from the original. We then see a giant centipede-like creature with many arms and legs smoldering. (You know what that means? Monster battles!) The city appears dead as a doornail. Then blackness. THE ROAR. As in THE roar. Huge bass drop. Raymond Burr finishes his famous speech. Dust…then an arm… a hand… with claws. Pan up… the fins. The head. Godzilla. As we know him. The real Godzilla. He roars again”. – Dread Central (Edited for Swear Words). So the Good news is that it is THE JAPANESE GODZILLA. As I said before I am unable to get hold of the trailer, but here is something that is not far off, possibly even better. So we have confirmation that it is coming but when. Well, a couple of months later a release date had been announced for the films release. The planned release date is MAY 16th 2014 (there is also the possibility that the film will be in 3D, however if a 2D version comes out too I strongly suggest that you go and see it in that format). Now 2014 is already going to be a big year for cinema with some major films being released that year. However there are 3 other reasons why it is an important year for cinema, Firstly it is the 60th anniversary of Akira Kurosawa‘s Masterpiece – Seven Samurai, Secondly it is the 60th anniversary of the original 1954 Japanese Godzilla Film, Thirdly it is the end of the 10 year hiatus Godzilla has been on since 2004, so within that there is the possibility of 2 Godzilla Films in 2014. So what a way to celebrate the 60th anniversary, 2 Godzilla Films (potentially). Finally, this not related to the 2014 film but is Godzilla Related as well as BIG NEWS. For many years two Godzilla Films have been involved in a piece of DVD Controversy. Godzilla 1985 (one of my favourite films) and Godzilla vs Biollante (one of three Godzilla films I have not seen, and by far out of those 3 the one I want to see the most) have been available in many countries as well as on Video. However the DVD release has not been satisfactory with people in both America and The UK complaining about this. Well it looks like someone has taken notice and cares. Godzilla vs Biollante is getting released on DVD and Blu-ray on December 4th by Echo Bridge. Hopefully it won’t be too long until Godzilla 1985 gets the same treatment. Really looking forward to that being released. With the release of Godzilla vs Biollante onto DVD and Blu-ray soon as well as more news on the Legendary Pictures Godzilla Film, It is an exciting time to be a Godzilla Fan. GENEPOOL (Someone on TV recently said that James Bond is the longest running Film Series in Cinema History. WRONG WRONG WRONG WRONG WRONG, They were WRONG WRONG WRONG WRONG WRONG). Godzilla is a Gigantic Nuclear Monster. He is a force of nature that is Indestructible; it is a symbol of nature taking out its revenge on the world. Godzilla is also a Cinema Icon staring in 29 films. 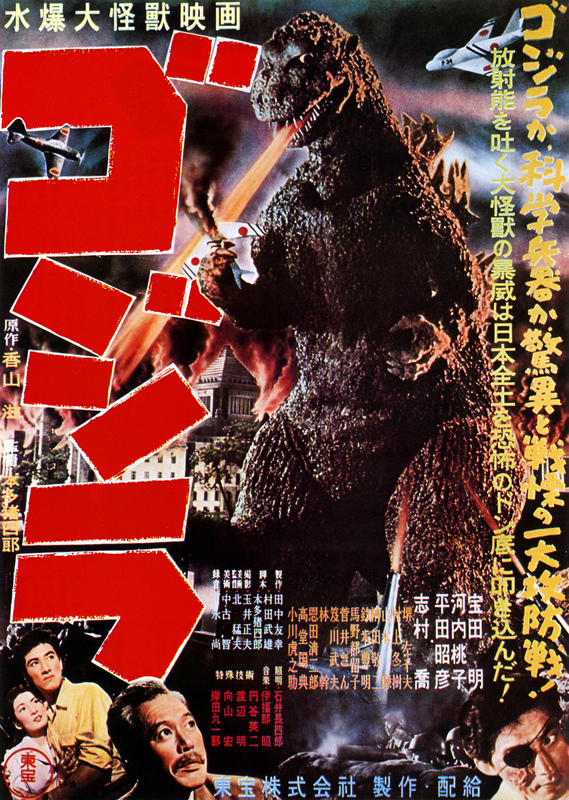 I thought that I would give you a brief history of Godzilla and show how one film in 1954 went on to become the Greatest film series in the History of Cinema (I will try to keep this brief, I might go into more detail another time or release it as a book). Godzilla was created by Japanese film producer Tomoyuki Tanaka in 1954. In World War 2 Japan was hit by 2 nuclear weapons. Japan surrendered and around the pacific the Americans used the area to test new weapons. In 1952 there was a re-release of King Kong and in 1953 Ray Harryhausen released The Beast from 20,000 Fathoms. It was from the inspiration of these 2 films plus the event of weapon testing and 2 nuclear bombs which became the inspiration of a film. The other driving forces behind the film were director Ishiro Honda and special effects creator Eiji Tsuburaya. Tsuburaya would later become known as the Father of Japanese Special Effects. Tanaka had an Idea for a large creature to come ashore and attack Japan. Eiji Tsuburaya told his Art Director Teizo Toshimitsu and Toshimitsu made many models out of clay and Tsuburaya chose the last one that Toshimitsu made. The name of the Monster came from two words Gojira (Japanese for Gorilla) and Kujira (Japanese for whale). It comes from an interesting story that may or may not have happened where 2 guys at Toho had these names and there was a ring to it. 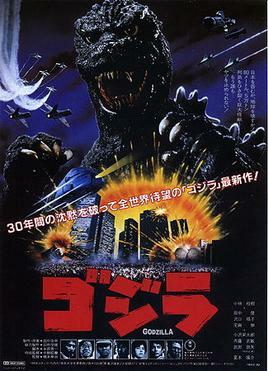 Another Idea is that it was renamed Godzilla when the American Distributor picked it up and edited the film to make it more appealing to an American audience. Another idea is that the name comes from the way that the name is pronounced. Many different ideas but all together the monster is called GODZILLA. Eiji Tsuburaya wanted to use Stop Motion effects like in King Kong but because of the time (3 Months) and budget constraints they decided to use a suit and use models to smash-up. Composer Akira Ifukube was brought in to make the music for the film and something else. Honda gave total control for the film’s music to Ifukube and told him that the music was the final part of the special effects. The monster also had to Roar (Reptiles don’t Roar). The film starts out with a ship catching fire followed by many other ships. Then during a storm on a Japanese island, the village island is destroyed by some unknown force. During the time that follows you get this idea of something Big, Bad and Dangerous heading towards Japan and then it Arrives. The film became a huge hit in Japan and was nominated for two awards at the Japanese Academy Awards and won the award for Best Special Effects. It however did not win the award for best film which went to the Seven Samurai. The film was picked up by an American Distributor and was edited with extra scenes included starring Raymond Burr (Perry Mason and Ironside). Godzilla became a hit around the world. 5 Months later Toho release Godzilla Raids again, this film was the first film to involve monster fights. Godzilla fights an Ankylosaurus type creature called Anguirus. Anguirus would later become one of Godzilla’s most trusted allies (and one of my personal favourites from the series). At the time of release there was not really an Idea for a film series just an idea to make big monster movies and so Toho later released Rodan in 1956 and Mothra in 1961. It was not until the release of King Kong vs Godzilla was released in 1962 that the film series started due to the popularity of the film. The 1960’s saw many iconic films in the series and introduced several new characters to the series like Mothra and Rodan as well as inventing new characters all together like King Ghidorah. 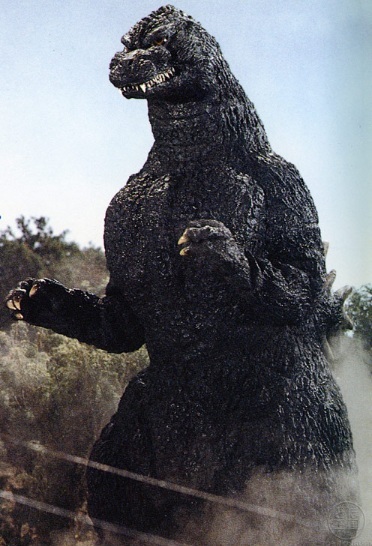 Godzilla also changed in character by becoming the hero of Mankind and saving mankind from monster threats. Baby Godzilla also turned up as well. Suits were still being used and are still used to the present day. Eiji Tsuburaya eventually left Toho to start his own production company making shows for television. This would lead to the highly successful Ultraman Series. Eiji Tsuburaya sadly passed away in 1970. Godzilla eventually had competition in the form of Gamera made by film company Daiei. Gamera is a Giant Turtle who can breathe fire and fly with Rocket Boosters. The 1970’s saw a much darker turn in story lines for Godzilla and also some scary films (well I found them scary). In 1971 Godzilla vs Hedorah was released and had a subliminal message in it with Godzilla attacking a monster made of Sludge. Director Yoshimitsu Banno wanted Godzilla to fight not just a monster but also pollution. Tomoyuki Tanaka was in hospital during the production of the film. When he recovered and watched the film he told Banno that he would never direct another film at Toho. Following Godzilla vs Hedorah was Godzilla vs Gigan. A film involving Godzilla, Anguirus, King Ghidorah and new monster Gigan. This film had almost a tag team feel about it with 2 Monsters fighting 2 other Monsters. Godzilla vs Megalon had the same idea but had new monster Megalon instead of King Ghidorah and new monster Jet Jaguar instead of Anguirus. Megalon did not do so well because of the constant use of Stock Footage. Toho followed this up with two Really Good films. Both of which introduced a new character which would go on to become one of the series’ most popular Monsters – Mecha-Godzilla. Mecha-Godzilla would also become one of Godzilla’s most powerful enemies (all 3 versions have come very close to killing the King of the Monsters). Godzilla vs Mecha-Godzilla was released in 1974 and Terror of Mecha-Godzilla was released in 1975. Terror of Mecha-Godzilla was the last Godzilla film directed by Ishiro Honda who sadly passed away in 1993. Terror of Mecha-Godzilla was the last in the Showa Series due to the crash in Japanese Cinema and an Oil Crisis as well. In 1984 Godzilla returned in The Return of Godzilla (one of my top favourites in the series). This was the first film in the Heisei Series and a few things were changed. Godzilla’s suit was updated to make it much more realistic and more intimidating. Godzilla was no longer the Hero of mankind and returned to being an Indestructible threat. Another difference was that the previous films except the original were forgotten for the purpose of the story. So Godzilla did not fight Monsters in the last 30 years but only appeared in 1954 and has not appeared since – Until Now. 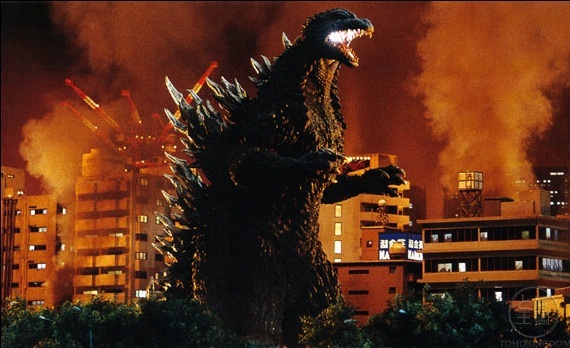 The Return of Godzilla did not have any other giant Monsters except Godzilla. OK there was some big Insects but nothing Gigantic enough to fight Godzilla. The film also has some close up shots of Godzilla’s Foot showing some scale size for people wanting to know how big Godzilla is. There is also a brilliant scene where he pushes a Skyscraper so it will fall on top of a Flying Machine sent to attack him. Following this film came many others in the series like Godzilla vs Biollante (one of only 3 films in the series I have not seen). They also brought back some Popular Monsters from the series like Mothra, Rodan, Mecha-Godzilla and King Ghidorah while also creating some new Monsters for the series like Mecha-King Ghidorah, Space Godzilla, Moguera, Destroyah and (one of my top favourite Monsters from the series) Battra. Baby Godzilla also made a return but had a more dinosaur look about him and the films also showed the life-cycle of Baby Godzilla as well with him starting out hatching from an egg, to becoming a bigger Baby Godzilla to finally becoming a mature Godzilla in Godzilla vs Destroyah. (2 Godzilla’s in one film even though one is a lot bigger). Gamera films returned to Japanese cinema as well during the Heisei series with a more updated and realistic look. I have only seen Gamera 3: Awakening of Irys which is very enjoyable (it makes me want to watch the previous 2 Gamera Films in the series). Godzilla vs Destroyah would become the last one in the Heisei Series and only the second film where Godzilla dies. He dies when his Nuclear Heart goes into Meltdown. However instead of destroying the earth as he goes into meltdown all his power goes into Godzilla Junior (who was killed by Destroyah earlier in the film) and brings Junior back to life but now as a fully grown Godzilla. Godzilla vs Destroyah has an interesting Story connection with the 1954 Original Godzilla. Godzilla gets killed in the original and in Destroyah bizarre creatures are found where Godzilla died in 1954. Momoko Kōchi plays the character of Emiko Yamane who was also in the 1954 original. Tokyo is not the only city to be attacked in Godzilla vs Destroyah, Hong Kong gets attacked at the beginning of the film. This was also the last film that Akira Ifukube provided the soundtrack, even though some of his work was used in the Millenium series. Ifukube sadly passed away in 2006. The film ends with a montage of clips from the first film and films from the Heisei series. One year after the release of Godzilla vs Destroyah Tomoyuki Tanaka sadly passed away. In 1992 Sony were given the rights to make an American Godzilla film. After the success of Independence Day Sony hired Roland Emmerich and Dean Devlin to make the film, but they only agreed to do so if they were allowed to do what they wanted with the Movie. 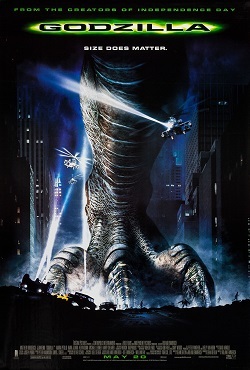 In 1998 Godzilla was released and did very well at the box office earning $379,014,294 at the box office. However the fans were not so sure about it. Kenpachiro Satsuma who was in the suit between 1984 and 1997 walked out of a Tokyo Screening and told reporters “It’s not Godzilla; it does not have the spirit”. The film was not really a Godzilla film. Godzilla 1998 was just a monster movie with an Iconic name. Calling it something else might not have drawn the crowds in but giving it a name that people know about will make the crowds come. They were probably trying to make a Godzilla film but the film itself is not a Good representation of the King of the Monsters. Ok some parts of the film is actually quite good but it is no-where near as good as the Japanese Films. The creature in the film was later renamed by Shogo Tomiyama (President of Toho) to Zilla. He felt that the 1998 film took the God out of Godzilla. Godzilla is not some animal that can be harmed by Man Made Weapons. Godzilla is a Gigantic Indestructible Force of Nature. Modern Man Made weapons have no effect on Godzilla. In December 1999 Godzilla returned but this time it was a Japanese Godzilla film. Godzilla 2000 (my joint second Favorite film) started the Millennium series. Each film in the series (except Tokyo S.O.S.) used the original as a launch point for the film. The idea works well and adds the idea of Godzilla being a legend that happened over 40 years previously. It also brought monster fights with it and once again created new Monsters for the series like Orga and Megaguiras while also bringing back some Monsters from the other series like King Ghidorah, Mothra and Mecha-Godzilla (also known as Kiryu in Godzilla Against Mecha-Godzilla). Also for some Monsters in the Millenium series it was the first time they appeared in Godzilla films in almost 30 years. In 2001 Godzilla, Mothra and King Ghidorah: Giant Monsters All Out Attack was released. 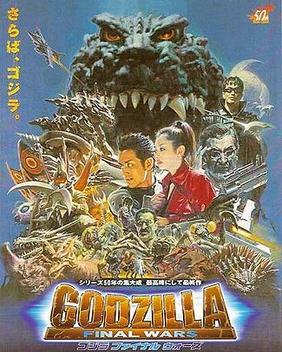 The film involved 3 Guardian Monsters and Godzilla. Even though not mentioned in the Title Baragon makes an appearance in the film. This is Baragon’s first appearance since the Showa Series and is a Good addition to the film. This is my Favorite film in the series and My Favorite film in the world. It is an amazing film. Tokyo S.O.S. is the only film in the Millennium series not to use the 1954 original as a starting off point. Tokyo S.O.S. was a direct sequel to the previous film Godzilla Against Mecha-Godzilla. Tokyo S.O.S. also contains one of the best and most mysterious post credits scenes in cinema history. A possible launching off point for a future film. In 2004 it was an important year. Godzilla’s 50th Anniversary. So to celebrate Toho released Godzilla: Final Wars. Shogo Tomiyama decided to put the series on a 10 year break following this, but this film was amazing (my joint second Favorite film). It contained many Monsters that have not appeared in the series for 30 years. Some of them with improvements, in particular Gigan who now looked even more dangerous. Zilla also makes an appearance but does not last very long. 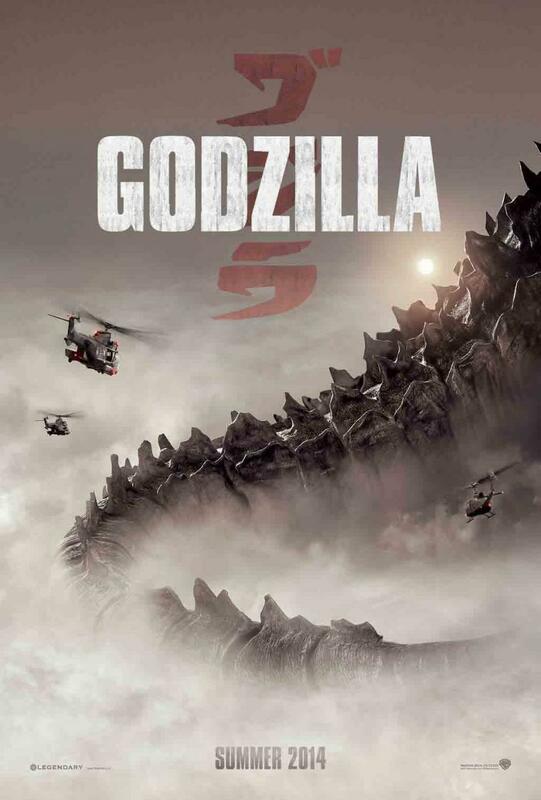 Directed by Ryuhei Kitamura the film is a lot like Destroy all Monsters with a Giant Monster Battle Royal where all the worlds Monsters fight Godzilla. Since 2004 not much has happened with the series. Yoshimitsu Banno decided to try and release a 3D Godzilla film for IMAX Cinemas called Godzilla 3D to the Max. However this was later scrapped to make a new American Godzilla film. This is a reboot to the American series with Legendary Pictures producing it. The film is based on the Japanese Monster and is not related in any way to the 1998 film. Gareth Edwards has been signed on to direct and he is a fan of Godzilla so we all know it’s going to be what we want to see. With a 2012 release to the film we will not have to wait long. Not only that it is now 2011 and in 2014 the 10 year break will be over. The future for Godzilla is uncertain at this point. We don’t know what the film makers plans are but Godzilla is not something they will forget about so I think it is more of a certainty that Godzilla will be back and continue to Smash, Crash, Pull Down and Destroy Cities worldwide while always being a Cinema Icon the world over. Godzilla will always be The King of The Monsters.